Tides are the consequence of any two objects that exert gravitational pull on one another over a long period of time. Basically, each object gently pulls the other object into an egg-like shape, because the gravitational acceleration on one side of the object is larger than on the other side. On Earth, the most observable evidence of this gravitational effect is the changing tides we witness. 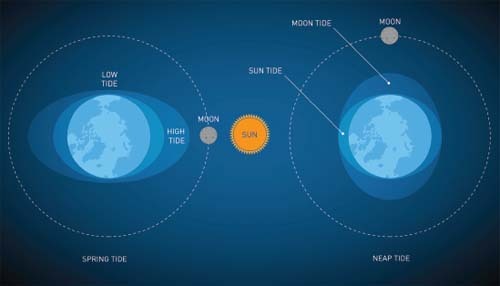 Tides are caused by the gravitational forces of our Moon and Sun tugging on our planet.